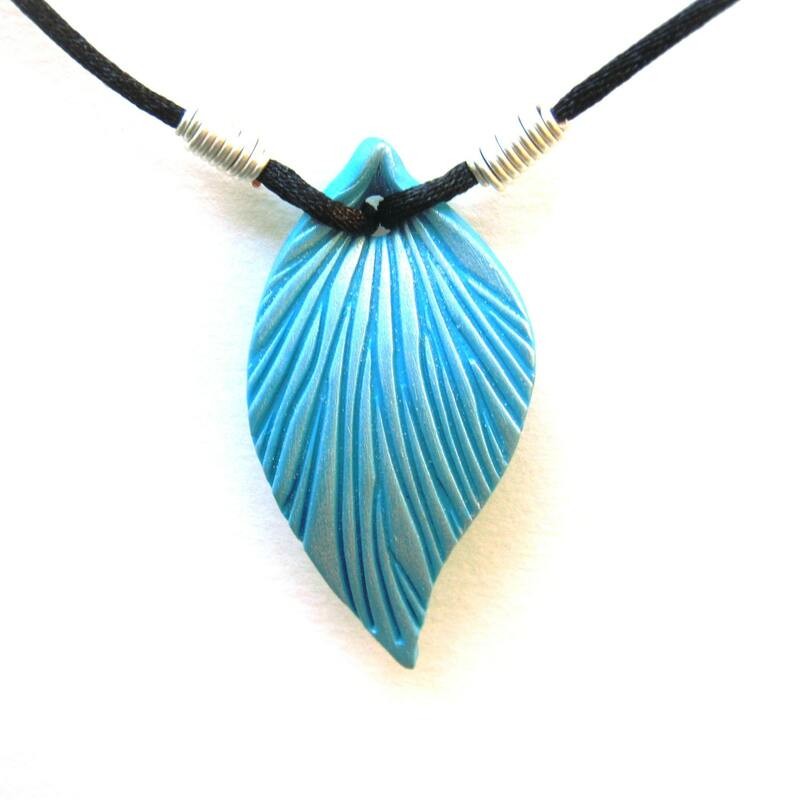 A handcrafted turquoise blue polymer clay leaf on black satin cord. The leaf veins are accented with pearlescent mica powders, lending a silvery look to the leaf. Each leaf is made by hand with polymer clay that is cut, textured, shaped, cured, and highlighted with mica powders. The findings are hand-coiled and shaped from silver plated non-tarnish copper wire.